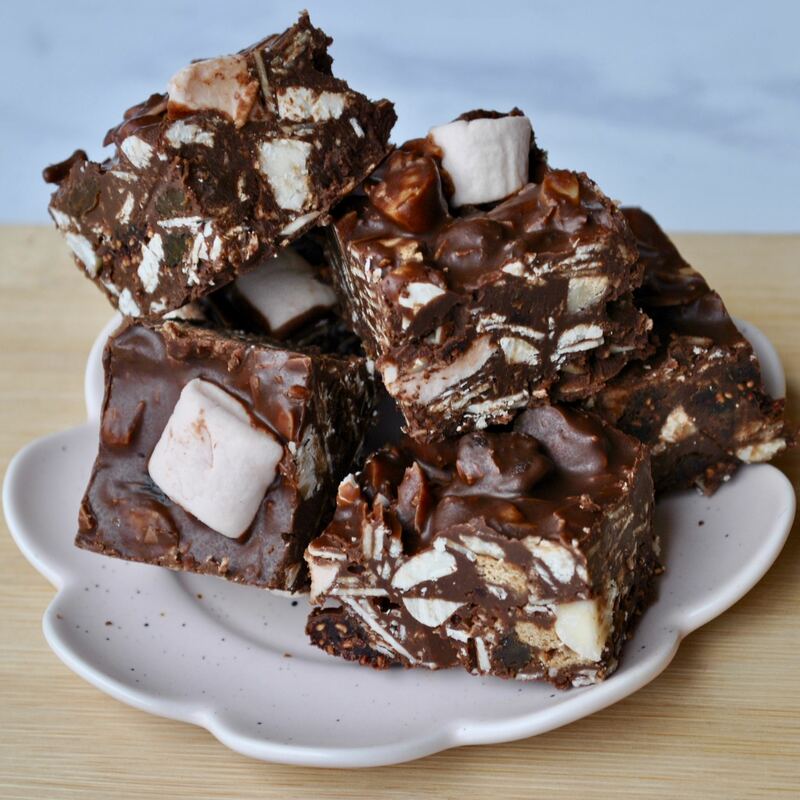 Crunchy and gooey, chocolatey and chewy, my Rocky Roads are full of all kinds of surprises! The base is made from smooth almond butter melted together with high quality dark chocolate, and these treats get their sweetness from your dried fruit of choice – juicy baked raspberries and a handful of sultanas. 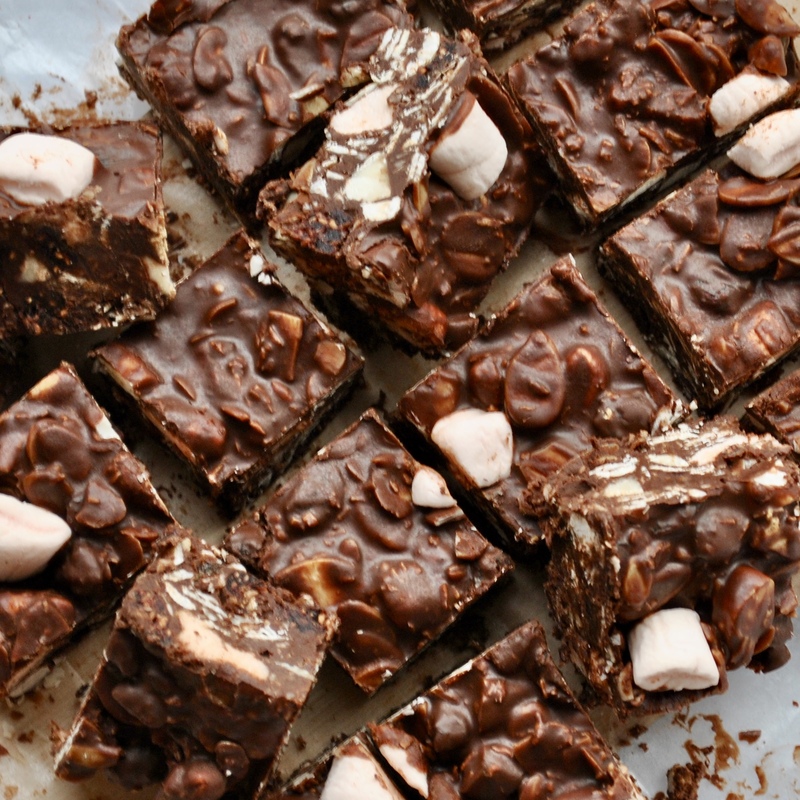 Plus a few mini marshmallows, because would Rocky Roads be complete without them? I didn’t think so either! 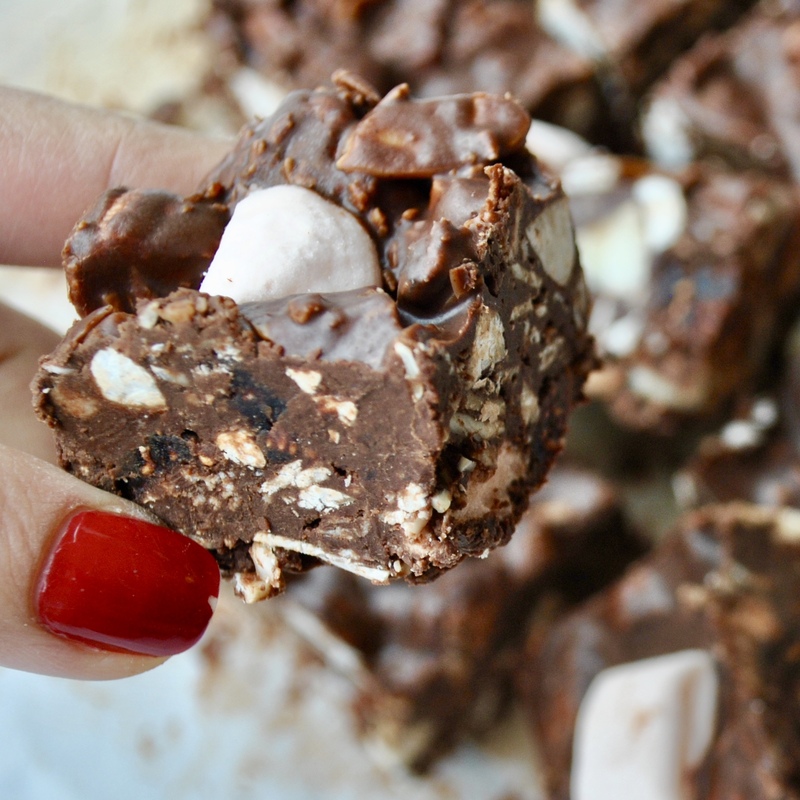 You’d never believe these Rocky Roads are vegan, gluten-free and surprisingly low in sugar! They’re also packed with protein and fibre thanks to the nuts – I used chopped Brazil nuts and flaked almonds this time, but you can use your favourites or whatever you have on hand. Granola – I always have some lying around! 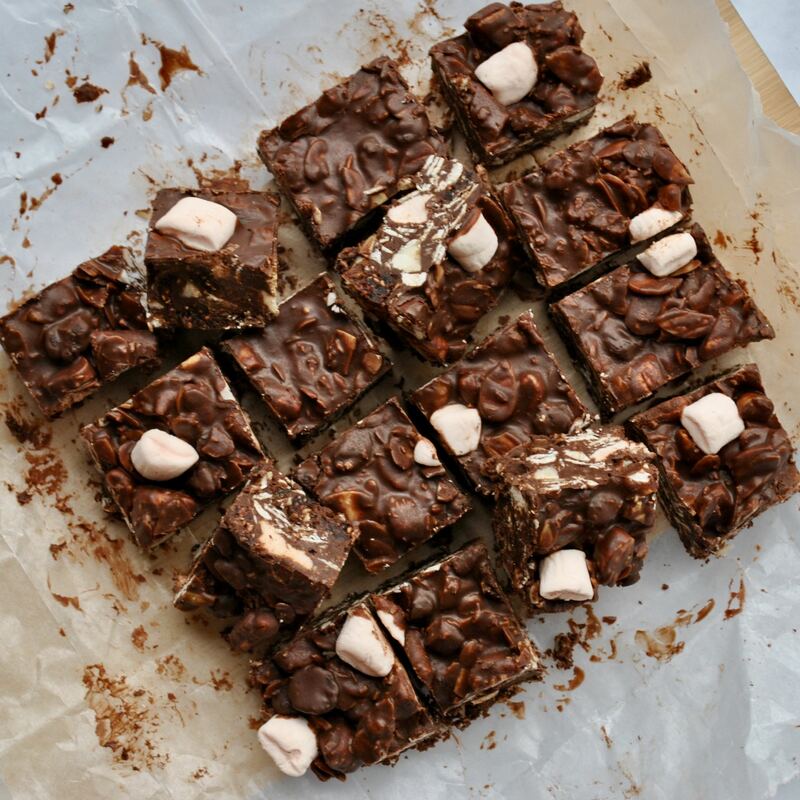 Break the chocolate into chunks in a saucepan and melt over a low heat. Stir in the almond butter until fully combined, then pour this into a large mixing bowl. 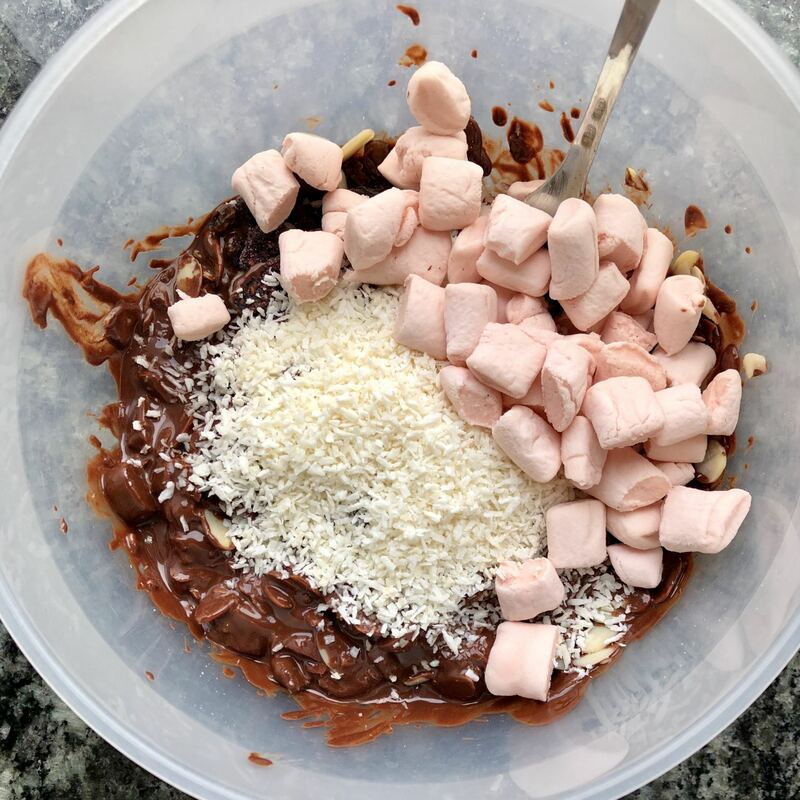 Add the nuts, dried fruit and desiccated coconut (if using) to the bowl and stir together until everything is coated in chocolate. 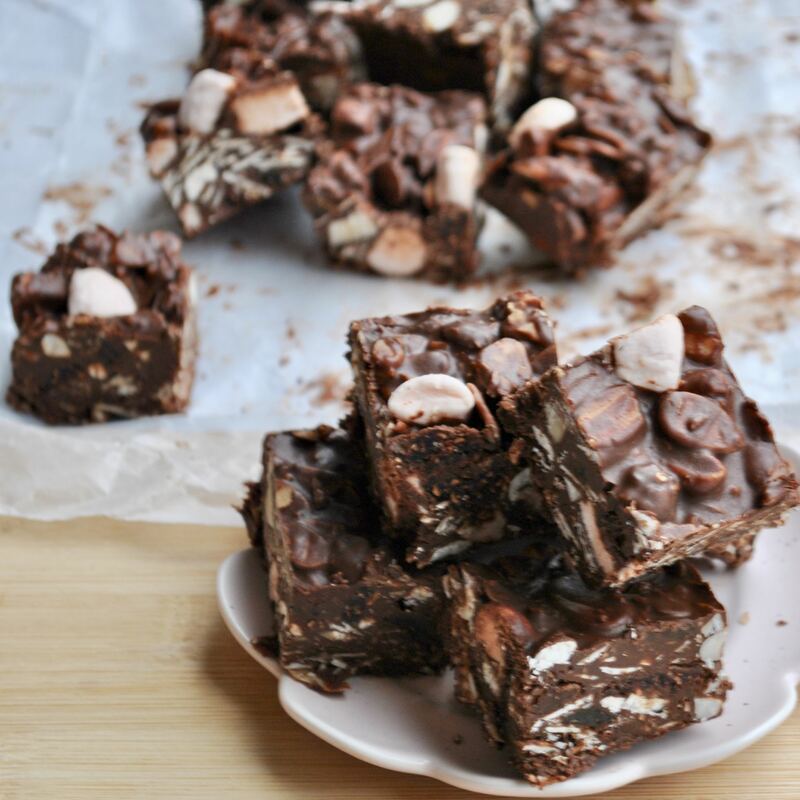 Line a brownie tin with greaseproof paper and spoon the mixture into the tin. Place in the fridge for 1 hour until completely set and crunchy, then store in the fridge. 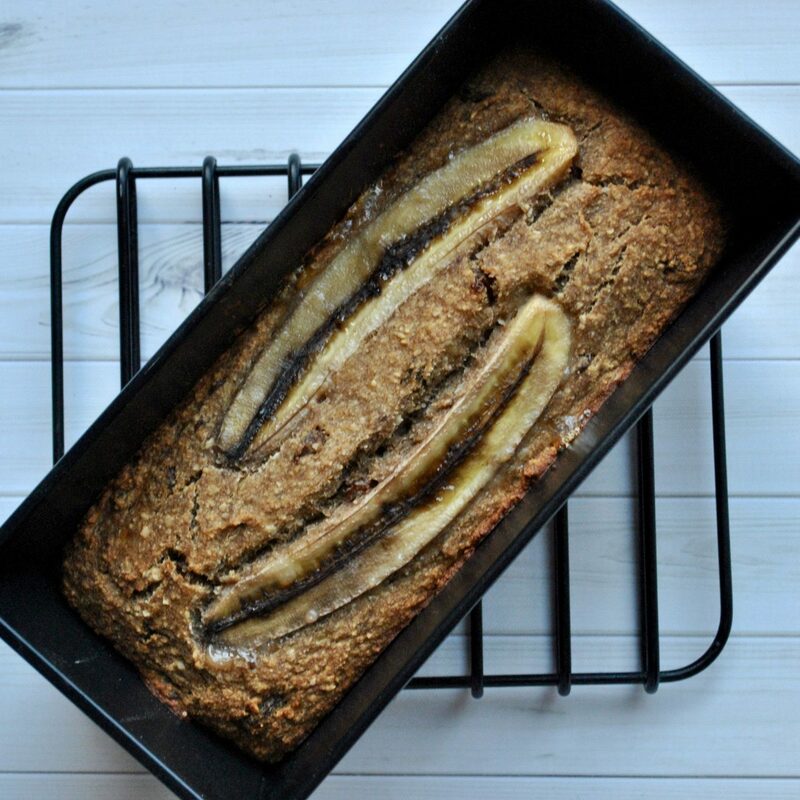 If you give this recipe a try, don’t forget to tag me on Instagram @brechernutrition – I LOVE seeing all your recreations!